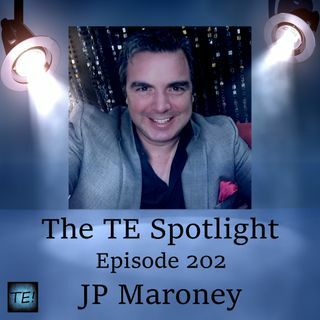 In episode 202 of The TE Spotlight Tomas speaks with JP Maroney is an American entrepreneur, investor, and philanthropist with more than 26-years experience starting, building, buying, and selling companies in publishing, media, advertising, software, ecommerce, textiles, training, real estate, and consulting. JP Maroney is the founder & CEO of Harbor City Capital, a global alternative investment group specializing in buying, building and monetizing digital assets. JP's business ... Maggiori informazioni group includes a collection of companies and joint ventures involved in publishing, software, media, training, consulting and internet commerce. He also serves as adviser and/or board member with several other companies. Part 1: Who is JP Maroney and Harbor Capital? Part 2: Why don't more people take advantage of this opportunity? Part 3: Who is your ideal customer?